This is a worksheet you can use with your beginner students. 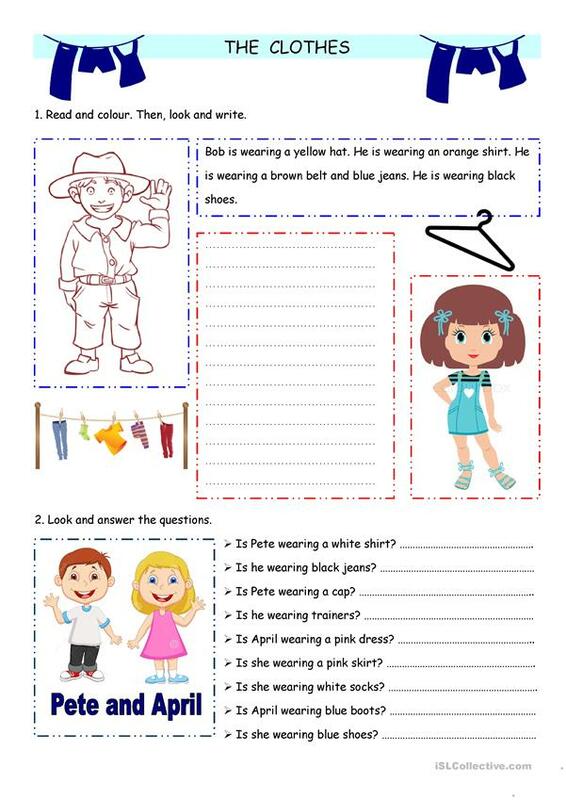 It is focused in clothes items vocabulary and it is useful to practice reading and writing though the exercises. This downloadable handout is intended for elementary school students at Beginner (pre-A1) and Elementary (A1) level. It is a useful material for teaching Present continuous (progressive) tense in English, and is a valuable material for working on your students' Reading and Writing skills. It focuses on the theme of Clothes, fashion.